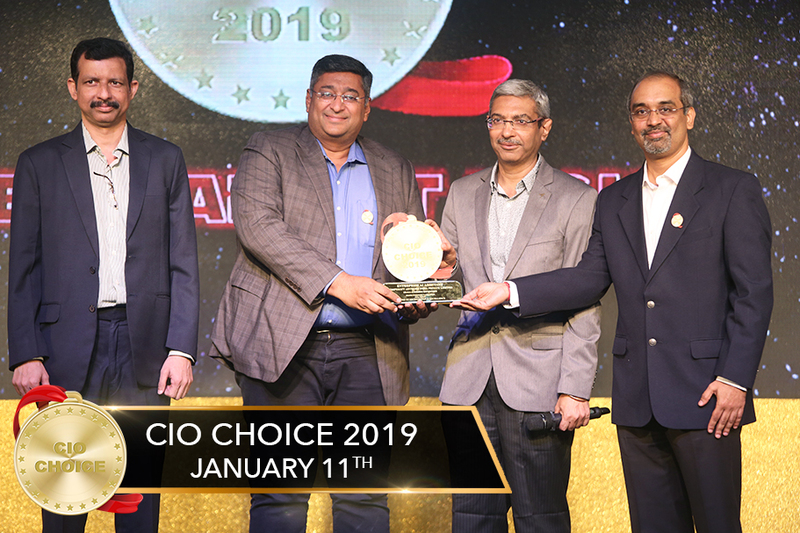 Mumbai, India – January 11, 2019 – Compusoft Advisors has been conferred the CIO CHOICE 2019 Honour and Recognition as the most preferred brand in the Enterprise AI Assistance category for their product ProcMATE. This prestigious recognition was presented at the exclusive Red Carpet Night, a celebration of innovation and excellence in the ICT ecosystem, produced by CORE Media. Compusoft Advisors has been providing Business Applications for over 21 years with a prime focus on providing Enterprise Applications, Cloud Productivity & Platform solutions across medium & large business enterprises. Compusoft has been working closely on Microsoft Dynamics platform to deploy various business solutions. Compusoft has also developed its own solutions built on top of Microsoft Dynamics 365 platform for Real Estate, Space Management & Logistics industries. Compusoft has recently launched ProcMATE, an Enterprise AI platform for process automation. ProcMATE is a next generation business process automation platform with a prime focus on real time process analytics with cognitive conversational capability and self-learning workflows. It utilizes proprietary Machine Learning (ML), Natural Language Processing (NLP) algorithms and cutting-edge cognitive technologies to inject automated intelligence into operational BPM software. In this highly competitive landscape, ProcMATE makes your customer’s engagement contextual & meaningful with Omni-channel automation process Platform and engages with your customers across different channels for early lead generation which helps you stay ahead of competition. “We are honoured with CIO Choice Recognition for our new Enterprise AI Process Automation Platform – ProcMATE. Happy to get the acceptance from the CIO fraternity with whom we have been working closely since over 21 years for various business solutions.” Devesh Aggarwal, CEO, Compusoft Advisors. ProcMATE is a new age Enterprises AI Assistant to run business process from Digital, Social Channels and Middleware to integrate seamlessly with your partner network. With Cognitive workflow it provides pre-build components & integrations to capture relevant information’s, documents, identities, & other verifications required to on-board your customer. It also gets integrated easily with any line of business application such as Microsoft Dynamics 365, SAP, Salesforce, Oracle, etc. while giving actionable insights in real time for descriptive, predictive and prescriptive analysis. Compusoft Advisors ( India ) Pvt Ltd.